Weeding and harvesting the berries that are beginning to ripen in our garden is a delicious, nutritious, and tedious chore. I willingly suffer through the task because the payoff is sublime. 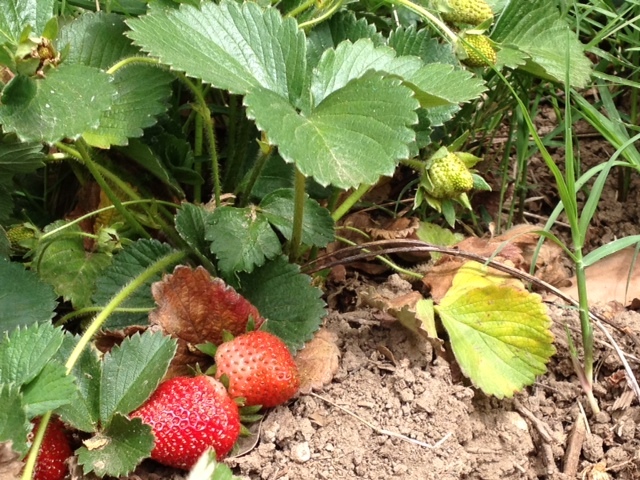 According to the California Strawberry Commission, the state leads our nation and the world in strawberry production. In 2013, more than 2.3 billion pounds of strawberries were harvested, and the estimated value of the California strawberry crop is approximately $2.6 billion. Did you know that eight strawberries has more vitamin C than an orange, and these tasty little super-fruits are packed with beneficial antioxidants and nutrients including potassium, folate and fiber? 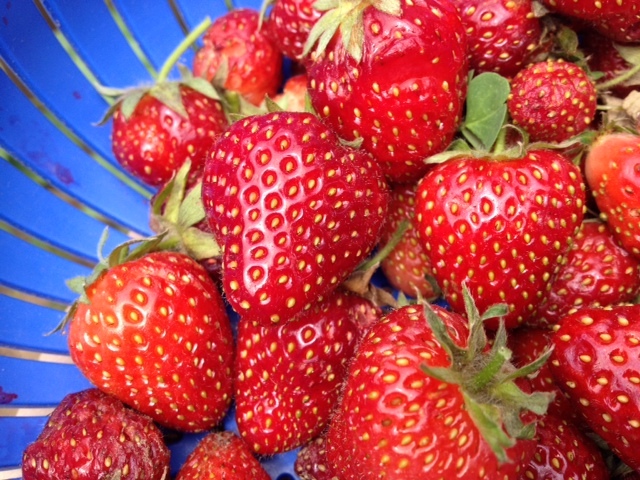 Of all the strawberry varieties available, freshly picked from the garden are the kind I like the best.